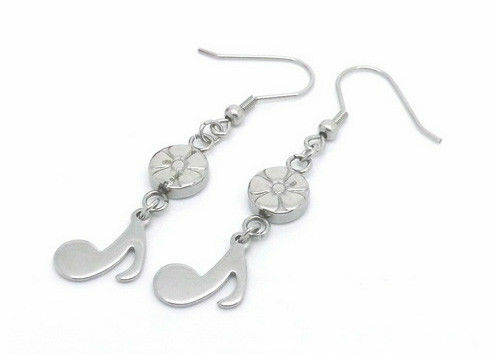 This Stainless Steel Earrings is with flower and music note charms. Material: 304 stainless steel, 316 stainless steel is available. Color: silver, also we can make other colors under your request.